A novice’s tale. 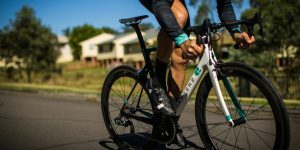 Follow along as I, Daniel Speldewinde, struggle to take my “she’ll be right” life philosophy with me to an international gran fondo, organised by people with a similar philosophy. 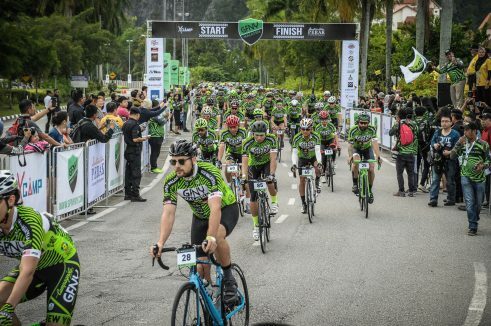 April 21, 2017: Ipoh, Malaysia hosts its annual Ipoh Cycle Fest. This two-week festival brought many of the things I enjoy in life together in one place; good weather, epic scenery, weak foreign currencies, delicious cuisine, friendly people, and as it’s name may have implied, cycling. This year Malaysia played host to its first GFNY (Gran Fondo New York). 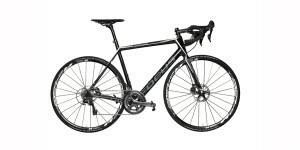 A 160km route with a measly 700m of elevation. On paper it looked relatively easy. To somebody who had prepared properly it probably would have been. But for this unfit battler, it ended up being anything but. I happily spun my 50-11 as though it were the other way around. I’d been cruising along in a lovely draft for about an hour, through a beautiful and almost pan flat rainforest. 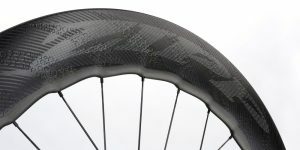 Hundreds of tyres humming all around me. Dappled sunlight filtered through onto the road as I happily spun my 50-11 as though it were the other way around. I kept looking down at my Garmin and marvelled at the speed it showed me. Having never ridden in a group anywhere near this size, I was very impressed indeed. I let myself believe that maybe even though I hadn’t trained for this, even though I’m terribly unfit, things may be alright. Then came a climb, a small climb but a climb nonetheless. 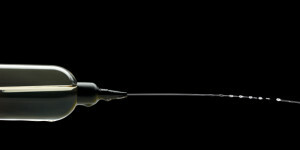 The swollen group started to shatter, I was feeling the burn in my legs and I realised how naive I had been. We climbed up and out into the full sun, and it embraced us with a searing heat. Slowly I slipped off the back to ride along with a new and much less enthused group. Who, over the coming minutes would break up into a tattered line, slowly drifting apart. The heat beat down on me as I pushed through the thick air. My skin burnt, my bottles empty, my calves, quads and hamstrings; in a state of purgatory. Nipping in and out of cramps at different stages of the pedal stroke. My head swished around, looking behind and ahead. My skin burnt, my bottles empty, my calves, quads and hamstrings; in a state of purgatory. Desperately searching amongst the picturesque rural landscape for someone to help with this situation I’d found myself in. No riders in sight, my gaze turned to the roadside where eager spectators had long since been replaced by citizens going about their everyday business. Their eyes seem to say something along the lines of “what are you doing?” And in that moment I was inclined to respond with my own eyes, something to the effect of “I’m not sure”. I gave up on the chances of an aid station and came to halt by a small shop and attempted to exchange the strange notes in my bar ends for clean drinking water and a can of cola. Promptly shaking the can up to let the bubbles out. then letting it spray about the place as I rode off, in an over the top and almost certainly premature celebration. The worst of the suffering was surely behind me. For the mean time it was. Though the riders I passed hereafter had placed more faith than I, that the aid station would be right around the next corner. Men and women drabbed into view ahead of me, defeatedly soft pedalling. Hunched over the handlebars. “Where is the aid station?” I asked as I passed them. They shrugged and pointed off into the distance. The infamous aid station finally arrived. People scoffed cake and skulled water. 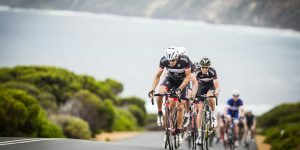 I stretched my cramped muscles and chatted with some of the other riders, everyone’s spirits were as high as their fatigue levels and we continued on. 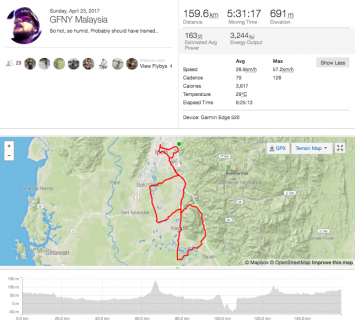 The fondo deteriorated into, what was essentially, an alley cat race with no maps. 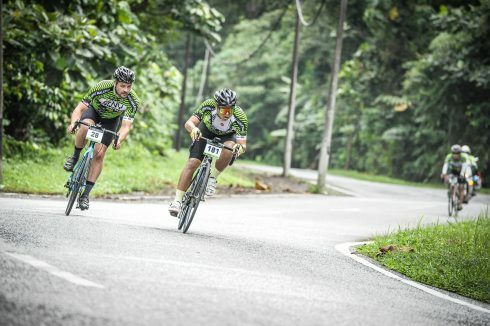 Soon, around the outskirts of Ipoh, the fondo deteriorated into what was essentially, an alley cat race with no maps. Traffic management had disappeared and in its place were the usual throngs of locals, driving with a special disregard for both personal space and the use of turn signals. Pulling up at red lights, we would see other riders travelling perpendicular to us. We would all look at each other quizzically, usually teaming up to be lost together. Eventually lucking our way in to cross the finish line in the wrong direction. In the hours after the race, we sat around resting and rehydrating. Slowly our disgruntlement turned to jubilation as we all shared stories of our hardships, our near misses, our moments of doubt, and the undeniable satisfaction we all felt having finished. 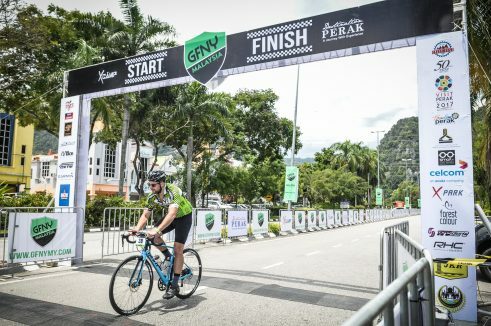 This year’s GFNY Malaysia is over. Next year I’ll be back with a few more kilometres under my belt, and maybe a map tucked in my jersey pocket. 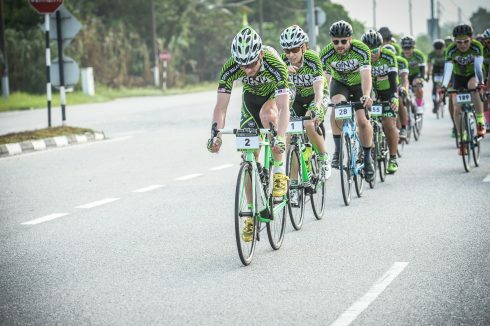 What: The Gran Fondo New York is a global cycling marathon series with 14 races in 2017, this was the inaugural year for the race in Malaysia. Ipoh is a 3hr drive from Malaysia’s capital, Kuala Lumpur, nestled amongst limestone cliffs, caves and gorgeous rainforest. The natural beauty can be seen from almost anywhere in the city and never ceased to impress me. Locals are invariably friendly and courteous, always happy to engage and have a good old fashioned mime with you. 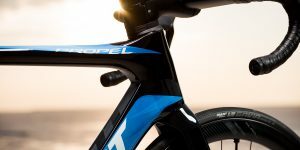 Ipoh is a great destination if you’re looking for an adventure filled new experiences and with some more time the cycling around the Cameron Highlands is apparently legendary. We flew to Kuala Lumpur, where our hosts drove us to Ipoh, or there is an express ETS train service to Ipoh, the train booking system can be tricky though. Alternatively, you can fly to Singapore and transfer to one of three daily Tigerair or Firefly services that land in Ipoh. Accommodation in the city varies from budget to extravagant. My place of residence for the duration, The Heritage Hotel, fell somewhat to the former. But what it lacked in modernity, it more than made up for with panache and a strange old world charm. Food is delicious and inexpensive, especially if you can get away from the beaten trail. Meals like Nasi Lemak can be had for as little as AUD $1 in the many culturally rich markets located around the city. However, if you are of the omnivorous persuasion, be ready for some questionable cuts of meat. 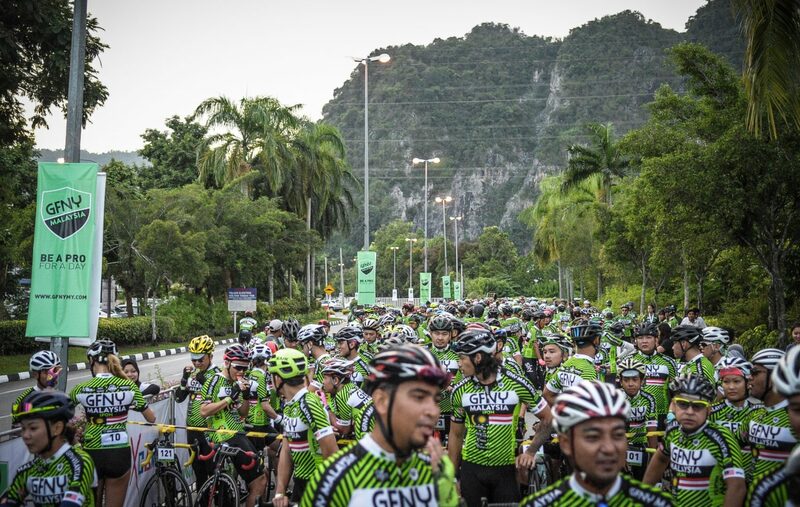 The ride was courtesy of GFNY and Destination Perak, it was great to experience a new cycling destination and their enthusiasm towards the sport.